You are at : All > TrueRenu's Best Brands > HABA - on Sale! HABA products feature Squalane, a 99.9% purified oil found in the sharks that swim deep in the cold waters around Japan. Squalene is an oil known to contain extraordinary levels of oleic acids essential to retaining moisture and fighting signs of aging. Unfortunately, our ability to produce it diminishes significantly after age 25. Happily, we've found a product that can replenish the skin's supply with high proportions of purified shark liver oil. 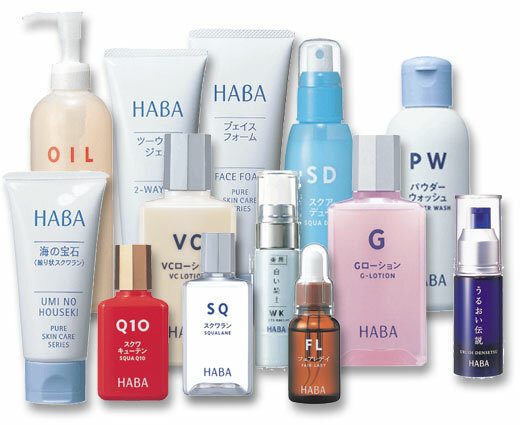 HABA is a Japanese cosmetic company, committed to the utmost purity in both its processing and manufacturing. They purify the shark liver oil to 99.9%, and use substantial amounts of it in each product. We offer HABA products for cleansing, toning, moisturizing, and Special Care products to customize your regimen. A light, leave-in spray conditioner for normal to dry or damaged hair. Natural purified squalane penetrates quickly, adds sheen and protection to hair follicles. Great for split-ends, color treated, sun damaged or permed hair. Page displayed in: 2.1880 seconds.